Large divider screen indoor partition fountain. 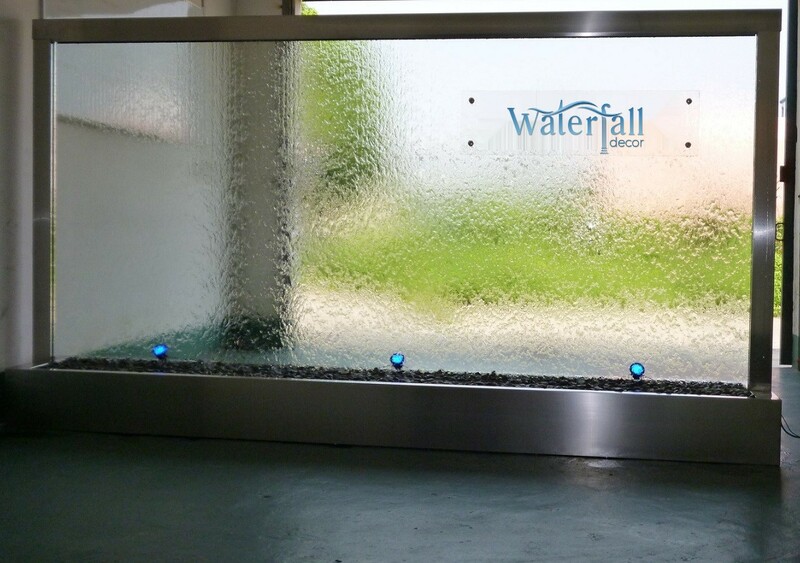 This beautiful water wall made with brushed stainless metal trim and clear tempered glass is sure to amaze. Comes with up to 3 LED lights with submersible pumps and micron filter.